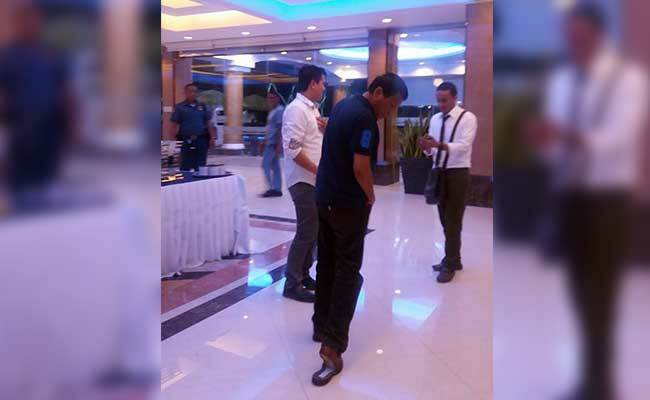 VIRAL: Mayor Rodrigo Duterte Walked With a Broken Shoe in His Campaign! According to the most recent reports, Mayor Rodrigo Duterte has the least number of wealth among the presidential candidates. His lifestyle is also noticeably simple and people admire him for that. Photos of his house and him sleeping inside a mosquito net is a proof that the Mayor is not corrupt according to his supporters. Another photo became viral when Duterte was caught walking with his right shoe broken. It was seen on the image that the presidential candidate was looking at his foot and the sole of his shoe is detached from it. This photo was taken at Jose Maria College David's Coffee Shop. He attended a campaign rally in Pasay City and headed to an event to be prayed over by Pastor Apollo Quiboloy. Maglalakad ako ng nakatsinelas lang natagpitagpi, tapos ok na, pwede na akong maging presidente kase nakakaawa ako. sige maglakad ka para maawa kani sayu! hindi ba pwedeng nagkataon lang? syempre d naman sya aalis kung alam nyang sira sapatos nya dba? ano yun bobo lang?